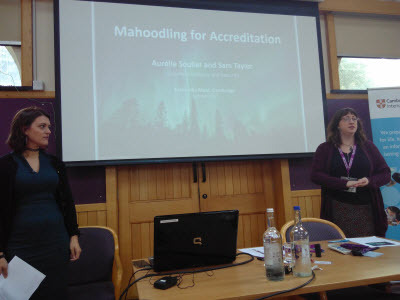 I had a great day on Friday, taking a break from Moodle 3.4 preparations to attend a Mahoodle moot organised by Cambridge Assessment International Education and sponsored by very own (international!) Moodle Partner, Catalyst IT Europe. 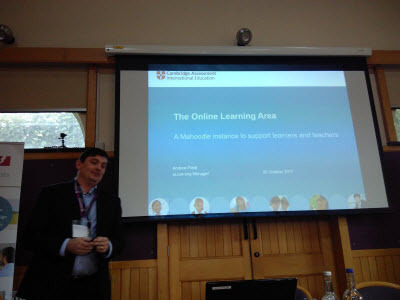 “Mahoodle” is a blending of Moodle and its open-source sister, the e-portfolio system Mahara, a union beautifully demonstrated by Cambridge’s e-learning manager Andrew Field in his presentation. 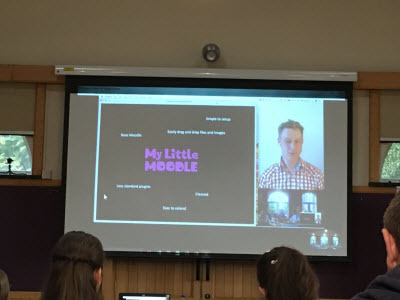 My favourite type of presentation in all moots are the “show and tell” ones, where people actually using the product give us a window into their world, and this mini-moot included several like this, not just Moodle but also Mahara, as we saw from the presentation by Sam Taylor and Aurélie Soulier from Cranfield university. 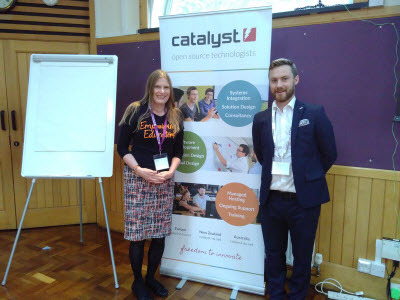 As well as being Moodle partners, Catalyst maintain Mahara and were capably and competently represented by their Business Development Manager Joey Murison who gave a very useful – and bravely live! – demonstration of LTI integration. LTI allows you to link, not only courses to courses and activities to activities on different Moodle sites – and the same Moodle site – but also to link Moodle to Mahara, replacing the now ageing Mnet option. (Thanks Andrew Field for the pic.) Here is the Moodle LTI documentation. I also gave a plug for our Learn Moodle 3.4 Basics MOOC which starts on January 8th. Sign up now and join in the Moodling! 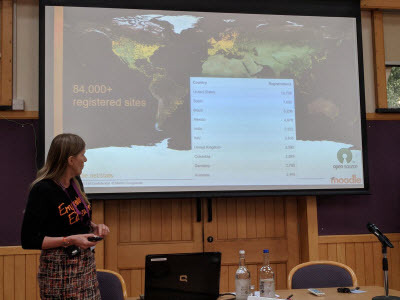 The day was packed with interesting presentations and I urge you to check out the hashtag #mahoodle17 for more information on those I haven’t mentioned here. 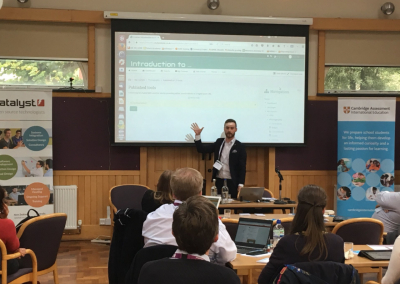 Thanks to Andrew Field for inviting me and thanks to Moodle partner Catalyst for the lunch and @CambridgeInt for the cakes! I hope this Cambridge Mahoodle moot becomes a regular event! This entry was posted in Moodle on October 22, 2017 by admin.